For over nine months now, vamps have been attacking her city, and Clarissa Tempest is ready to end them all once and for all. Too bad they aren’t the only problem. Definitely not the only issue she’s facing nowadays. Her father’s back. Demons are in town, and this time Lucifer is with them. Amarok is back as well. So much for the dead staying dead. Finally, angels are here too, and they want revenge. 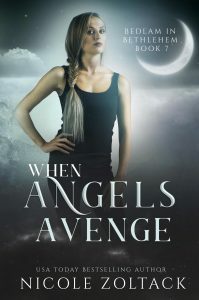 If Clarissa isn’t careful, the angels will not only come for her. They’ll kill her. So much for angels being good and kind and all of that.